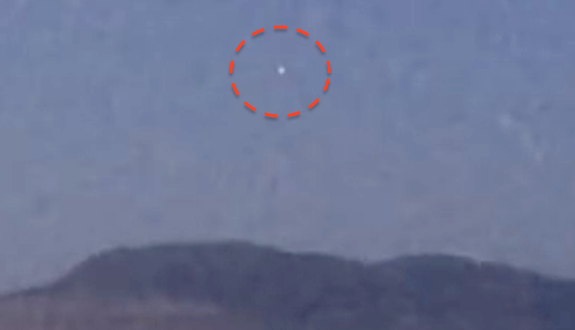 UFO SIGHTINGS DAILY: White Fast UFO Moves Over Lake In Harstad, Norway, Video, UFO Sighting News. 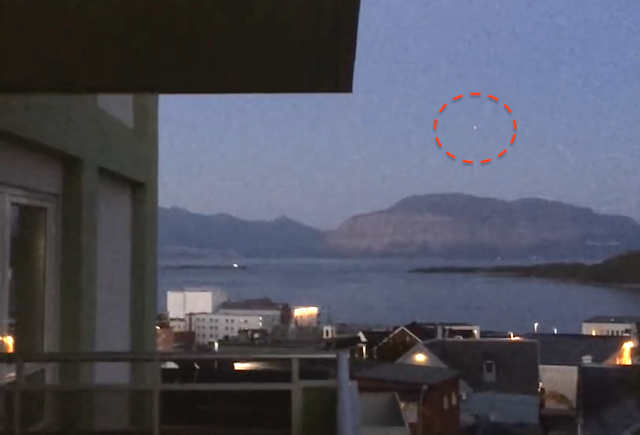 White Fast UFO Moves Over Lake In Harstad, Norway, Video, UFO Sighting News. Date of sighting: Aug 26, 2015, reported this week. This speedy UFO was seen last year over a lake in Norway, but was reported recently to MUFON. The Orb moves quickly and may have come from below the water. Strange thing is...why didn't the person move so he could see the UFO more? Odd. I looked out over the sea from my balcony. First I saw this object standing still in the sky and I thought it could be a drone, but then it suddely moved very fast up into the sky in a straight line way to north. I run as fast as I could inside and looked out my kitchen-window while I at the same time told my girlfriend to come see this strange object. We have never seen anything like this before. The object suddenly moved fast back to where it came from, and we ran back to the balcony where I recorded this object on my iPhone. Then we saw this happening: The object moved very fast from high up in the sky above the mountain. Bright lights changed from red to green while it moved fast down toward the sea. Then it suddenly dissapeared behind the building. We stood there like paralyzed, not knowing what to say or feel.